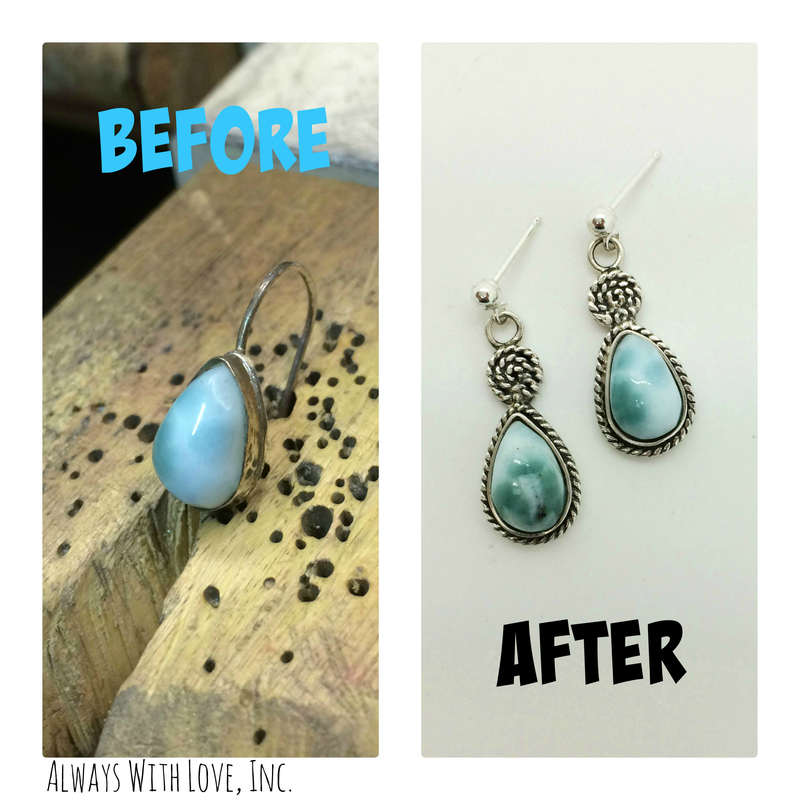 A client came to me with a pair of larimar earrings she had in her personal jewelry stash. She hadn’t worn them in a while because she didn’t like the fact that they were so plain and she wasn’t fond of french hook earring wires either. I was told to re-vamp the design and give them a makeover. I took them apart because honestly, whoever made these, didn’t do a great job. 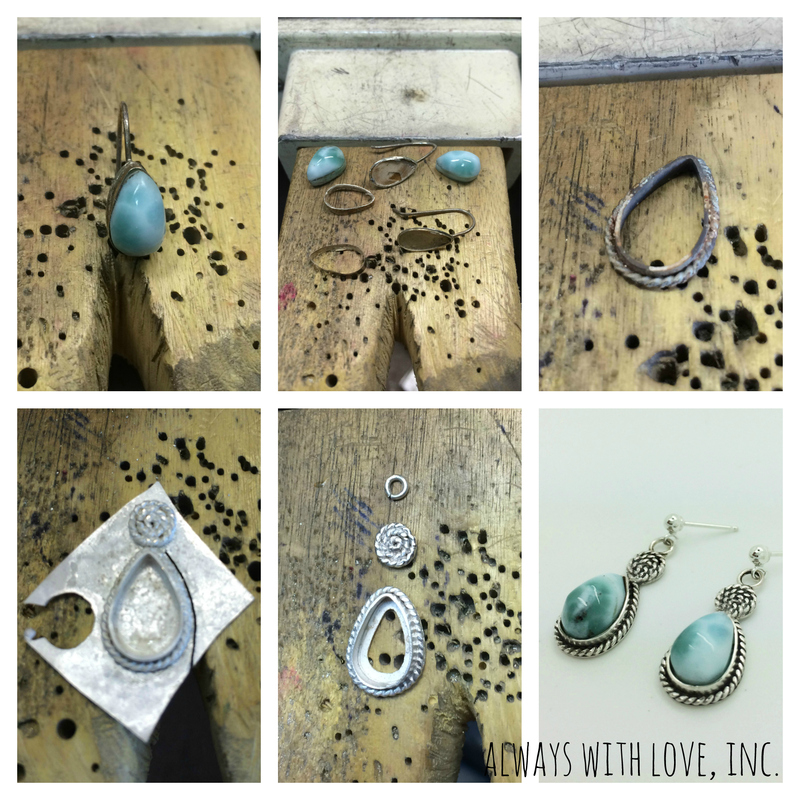 I made completely new bezels adorned with twisted wire, embellished them with some antiquing and gave them ball posts. They turned out so cute I think I will make more of these to add to my inventory.